The rumor during the offseason was that the NFL wanted some color vs. color uniform matchups during Thursday Night Football. It wasn’t clear whether or not teams would wear new uniforms for this occasion or just have teams wear what they have in their rotation. During a commercial on Thursday Night Football, we got our answer. Check out the above video. The idea is either to help merchandise sales or make Thursday Night Football seem like a special event. Either way, it doesn’t need to happen but it’s here. Color vs. color is nice and I want to see more if it in the NFL. But their approach to this isn’t the best. Let’s break each matchup down in the order these games will be played. For years, the Warriors have not even sniffed the playoffs, so I never cared much about the opening night hoopla where a championship team raises their new banner and celebrates. But this year is different. 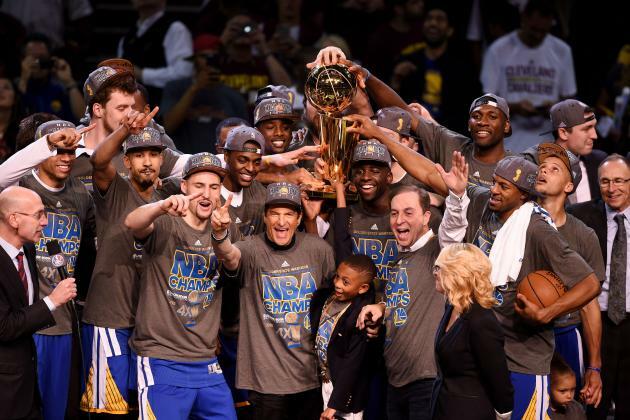 The Warriors are champs and they will have that celebration tonight at home. I wish I could be there. But I will watch it from home. However, the idea of this celebration has yet to sink in. 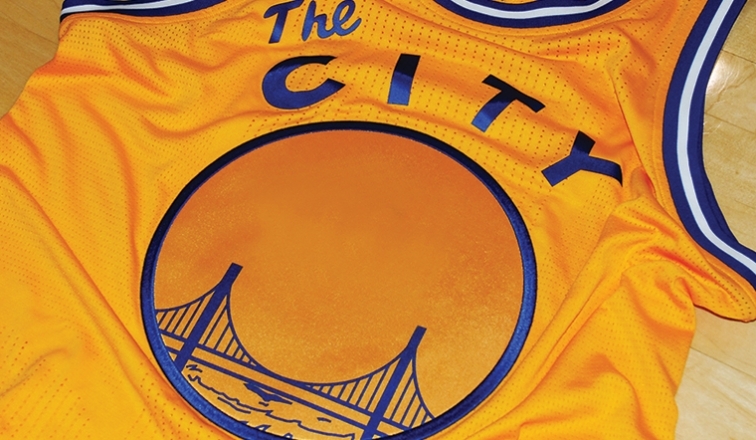 Are the Warriors really champs and are they really going to celebrate with a new banner? I think now knowing that the target is on the Warriors’ back is real. But with all eyes watching the Warriors, I still haven’t wrapped my head around it. I can’t wait to see the celebration. I can’t wait to savor the moment. And I can’t wait for the Warriors to try to do it again. As you know I am a huge “Back to the Future” fan. Like real big fan. I got the shirts, I got the movies, I got the LEGO set. I quote the movie over and over again. In fact, I held a mini marathon at home last night watching the films. In fact, I shared about a little adventure I had yesterday at the mall. 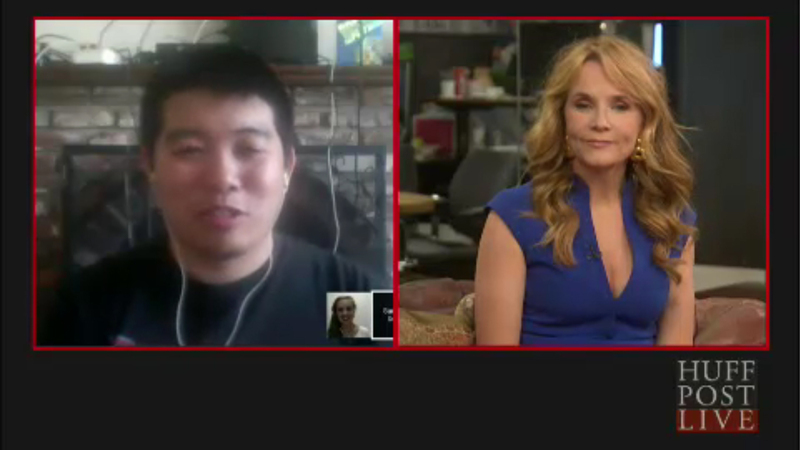 But the coolest thing so far about today, which is the day Marty arrives in the future, is that I got a chance to chat with Lea Thompson. She plays Lorraine in the trilogy and this actually isn’t the first time I’ve interacted with her. Last summer at a screening, she was part of a Q&A and I was able to get her to sign my DVD copy of the trilogy. But with today being the day Marty arrives, she was doing some interview touring and Huffington Post was able to get her for a live segment. I was asked the day before about it by a rep from Huff Post. They saw that I was a huge BTTF fan from my tweets probably and asked me if I would be willing to join in on a Q&A with her live. We went over the details of what questions I would ask and what kind of setting I would get ready using Google Hangouts. This morning, Cam Heyward shared the above tweet. He says that because of the eye black he wore, the NFL fined him. The eye black was a tribute to his father, a former NFL player, who died in 2006 from cancer. On the surface, it looks like the NFL has no heart. How could they fine a man who was paying tribute to his father who died of cancer? Of course, the reasoning for this would likely stem from the NFL’s rules of not allowing personal messages to be placed on eye blacks. The rule doesn’t give exception no matter what. The only way that would have been allowed was to have league approval prior to the action being taken. It doesn’t seem like Heyward did that, so that’s why the fine came. They didn’t fine him for the tribute. They fined him simply on him breaking the rules. The story coincides with the situation DeAngelo Williams is in. If you are unfamiliar with it, here is the story. Williams lost four aunts and his mother to breast cancer. But the league won’t allow him to wear pink outside of October and won’t make an exception. The NFL allows pink in October but once that 31-day window is done, the time to express concern and awareness to it is over around the league. 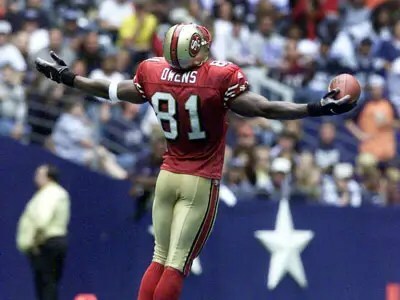 I had always assumed that Terrell Owens’ famous touchdown celebration on the Cowboys’ star was because he wanted to mock the opposition. In “A Football Life,” Owens retells the story of that day and said it was his way of praising God. You can believe that if you want or not, but watch the video and see for yourself. Are you cheering for the Cubs because ‘Back to the Future’ said so? As you know I am a huge Back to the Future fan. As part of a side note from the movie’s sequel, the Cubs win the World Series in 2015. It’s a funny little piece of movie history but now that we are in 2015, this could actually happen. I was real glad to see the Cubs win last night and advance to the NLDS. I am cheering for them to win it all solely because the movie said they would. Wouldn’t it be a great story and a cool tie in with the movie? A movie’s prediction almost 30 years ago predicts the World Series winner. How crazy is that? The team I still think is the best in all of baseball are the Blue Jays and they probably have the most balanced team right now. However, you never know how things will turn out. I also like the upstart Astros. Something about them really stands out to me as a fun team. But if I had to prioritize it, it’s the Cubs first, then the Astros. The Jays come next. The rest I am indifferent.